The story of Easter is retold in 14 rhymes and actions. Delightful illustrations combine with the text and the actions to help children get inside the story, discovering God's saving plan for the whole world. The rhymes stay true to the Bible text, sensitively dealing with Jesus' crucifixion and expressing the joy of Jesus' resurrection. 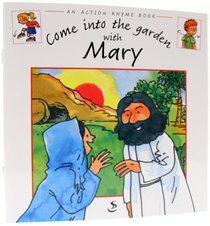 About "Come Into the Garden With Mary (Action Rhyme Series)"